Sorry for the absence here on the ol' blog. I'm in Arizona visiting my family and haven't been totally motivated to post anything. BUT - I came across these pictures the other day and it had me laughing really hard. It's so fun to see your childhood friends in photos . 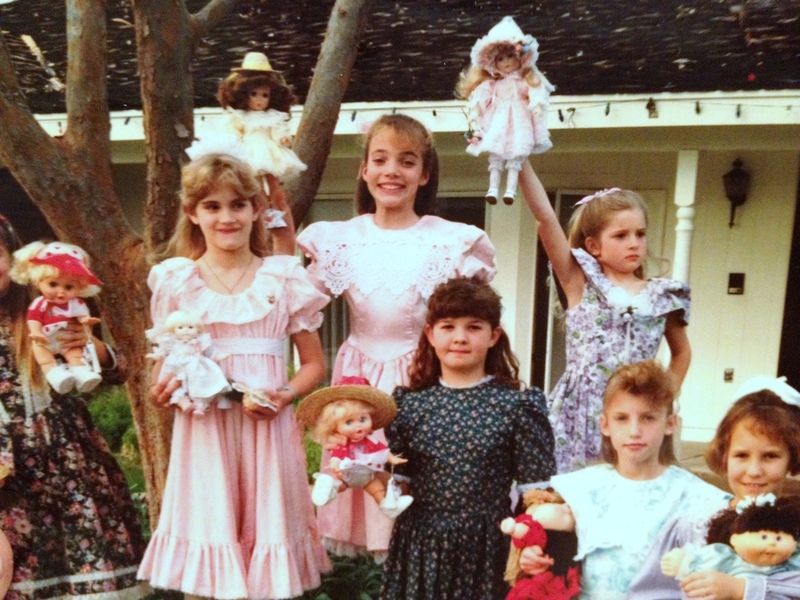 . . and also really fun to wonder what your 8-year-old self was thinking as you posed for your tea party, holding your doll up in the air in your church clothes. Haha! 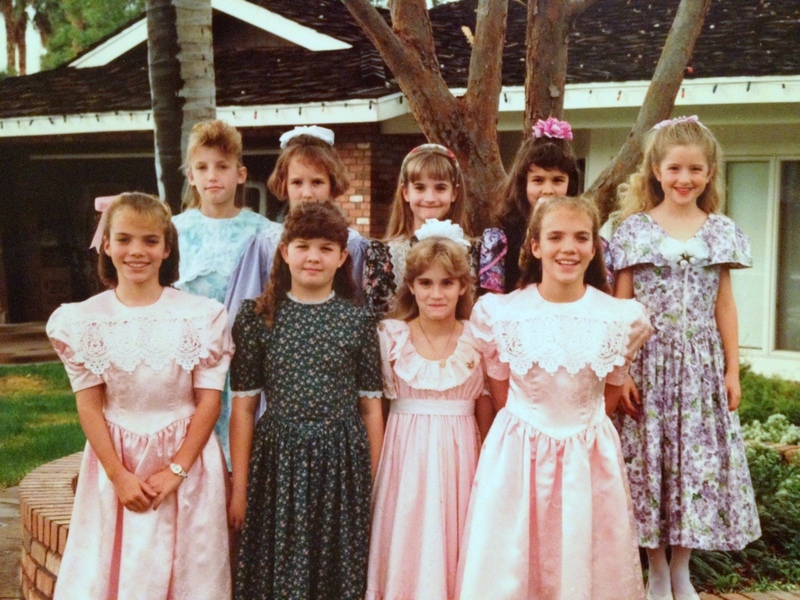 Oh, the days of miniworld dresses are long gone. Lol! Your face and pose with your doll....seriously dying!! What a pretty little girl you were! (And still are) I'm also laughing b/c I had several of those Jessica McClintock dresses....they were the biggest rage back then. These pics made my day!! Haha! Ang, I was hoping you'd see this post. Look how little Julie is! Oh, the good ol' days! haha i know! we all look so legit. Sitting in front of the computer and I am smiling! Love your photo, such sweet girls! Lovely! Yay! There's me! I remember my mom making sure we knew how to act proper and pulling out her fancy dolls for us to use, even though I thought they were kinda of ugly. Good times! Emma just saw this picture and said, "Wow! Those girls have such pretty dolls & dresses!" Too funny! Emma just came up behind me and said, "Wow! Those girls have such pretty dolls & dresses!" Lol! Oh, and I always thought William looked more like David, but I can TOTALLY see him in this picture of you! You have gorgeous kids that are a perfect mix of the two of you! If Gene Evans was a little girl...he would look just like Denae. Holy Smokes! This is classic.